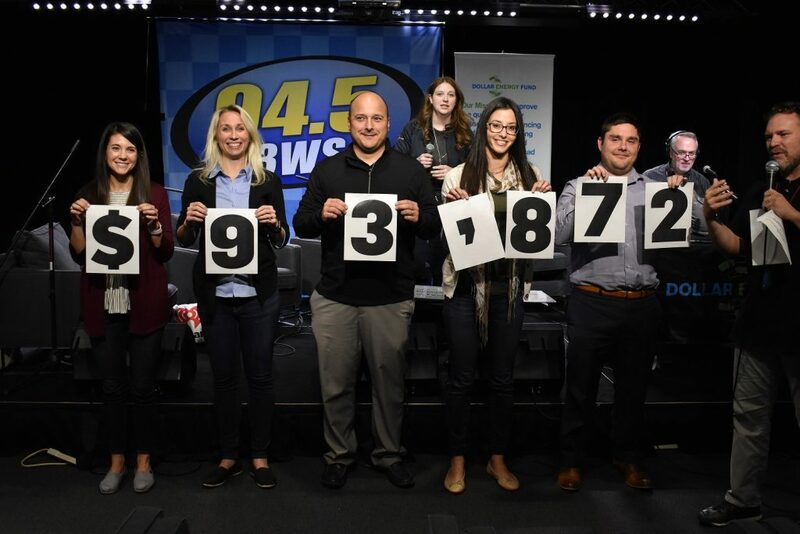 Through the combined effort of 3WS Pittsburgh and our supporters, the Winter Warm Up Request-A-Thon raised $93,872 to benefit Dollar Energy Fund and our neighbors in need. The amount raised will provide utility assistance to more than 260 Pittsburgh households who are struggling to stay warm during this cold winter. Our second Winter Warm Up Request-A-Thon took place on November 13 and 14, 2018. 94.5 3WS and Dollar Energy Fund teamed up to bring the community a fun way to help families in our region stay warm. Over the course of the two-day event, 3WS listeners took over the station with their song requests. In exchange for a donation, listeners could request any song and many were invited to talk live with the on-air talent Jonny Hartwell, Bonny Diver, Sheri Van Dyke, and Mike Frazer. A variety of donation incentives were also available during the event, such as autographed sports items, gift certificates and event tickets. The success of our Winter Warm Up Request-A-Thon event would not have been possible without our generous sponsors, including 84 Lumber, South Hills Auto, Citizen’s Bank, Metropolitan Window Company, CW Electrical Services, Flynn’s Tire & Auto Service, Oakmont Bakery, Armina Stone, and Primanti Brothers. All donations were generously matched dollar-for-dollar by our utility partners: Peoples Natural Gas, Columbia Gas of Pennsylvania, Duquesne Light Company, and West Penn Power, a FirstEnergy Company. In addition, many of our Neighborhood Hero donation incentives were provided by Total Sports Enterprises. All of these businesses share Dollar Energy Fund’s mission for assisting the limited-income community and we thank them so much for their unwavering support. Dollar Energy Fund also wants to extend a big THANK YOU to the staff at 3WS and iHeart Pittsburgh. Their hard work brought this event to life as they rallied their listeners to help. If you’re interested in joining our efforts to keep Pittsburgh families warm, consider participating in our upcoming Cool Down for Warmth event on January 24 & 25, 2019.